Harvey Ziff has again been honored as being listed as a 2010 "Northern California Super Lawyer" based on peer recognition and great achievements in representing personal injury plaintiffs. Harvey Ziff attended the Wharton School of Finance, University of Pennsylvania (BS) and Stanford University School of Law. While at Stanford, Mr. Ziff served as editor on the Stanford Law Review from 1966-1967. Mr. Ziff also earned a masters of law (LLM) from Northwestern University (1969). After graduating from Stanford University School of Law, Mr. Ziff served as a Special Assistant U.S. Attorney in San Francisco from 1968–1969 where he successfully prosecuted felony cases through trial. From 1969–1970 Mr. Ziff served as a Deputy Public Defender in Santa Clara County and continued to gain extensive and valuable trial experience. 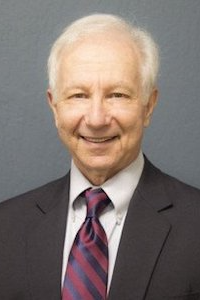 In 1971, he went into private practice with his partner David Weinberg and shortly after that, decided to dedicate his practice to representing personal injury victims and their families in all kinds of personal injury cases. He now practices in partnership with his attorney daughter, Adrienne Cohn.